We created these images for What! Arkitektur and Familjebostäder. 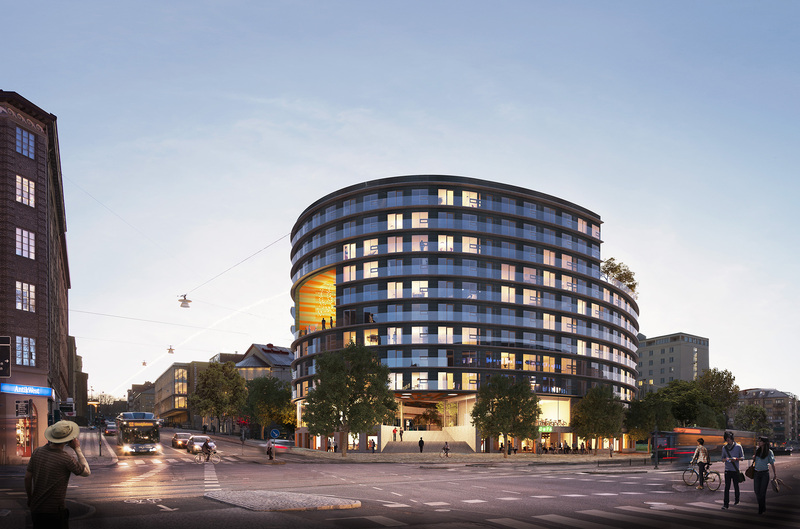 The building, which is currently a conceptual idea, is supposed to replace a parking garage and address the need for cheaper flats in the city center of Gothenburg. This is ment to make for a more sound demography in the area, by making it possible for single households such as young people, students and retirees to live here. 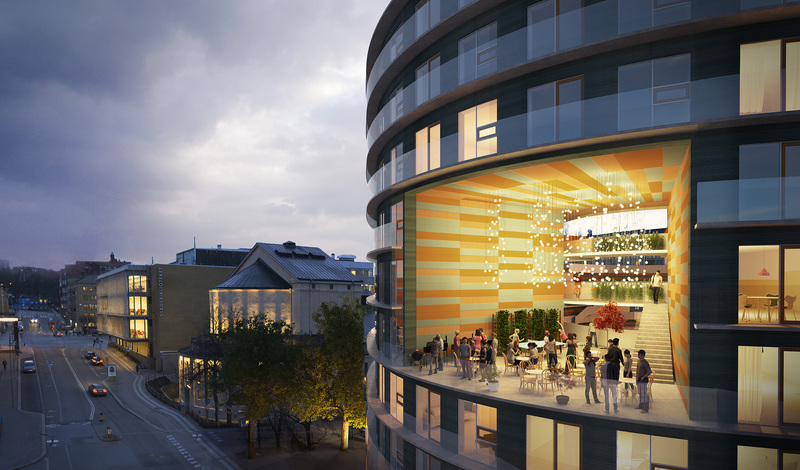 This, in combination with lots of common social areas, is meant to promote active interaction between neighbours, making the building a meeting point across generations. 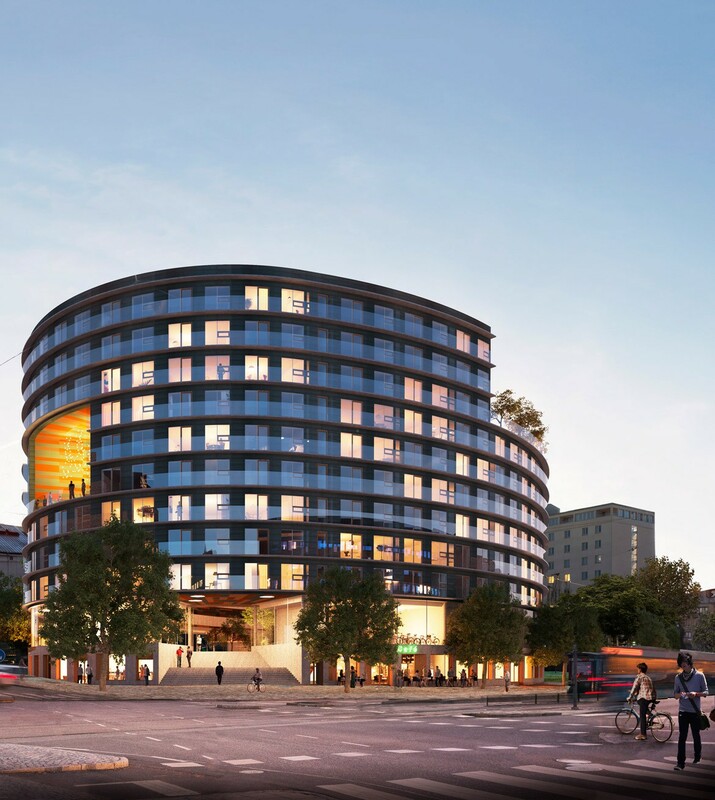 On the ground floor public areas will be constructed, meant for shops, restaurants etc, which should also ensure a building buzzing with life, making it a social focal point in the city center.